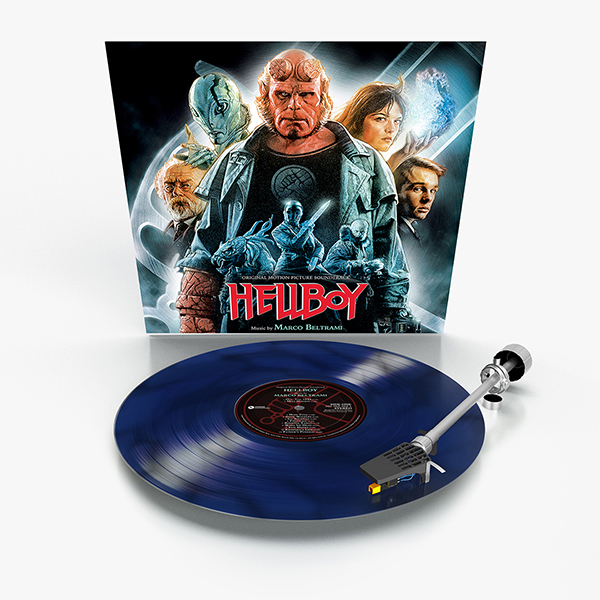 Varèse Sarabande is releasing three exciting LP packages, exclusive to Barnes & Noble, on July, 13 2018: ROAD HOUSE, released for the first time in three decades, on limited “Double Deuce” Neon Vinyl, a supernatural blue/black swirl vinyl for HELLBOY, and the red vinyl edition of PEE-WEE’S BIG ADVENTURE with a bonus second soundtrack of BACK TO SCHOOL. The popularity of ROAD HOUSE, the 1989 action film starring Patrick Swayze, has remained consistent for almost 30 years. The music was a centerpiece for the film, with the house band, The Jeff Healey Band, performing new material produced by Jimmy Iovine. In ROAD HOUSE, Dalton (Swayze) is a true gentleman with a degree in philosophy from NYU. He also has a flip side - he's the best bar bouncer in the business. When Dalton's brought in to clean up the Double Deuce, a popular establishment that become particularly rowdy, his calm is put to the test by the town bully. 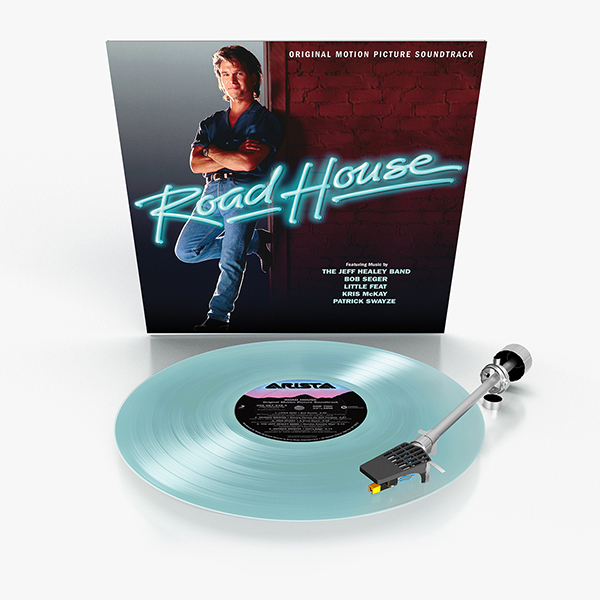 All four of The Jeff Healey Band songs are on this soundtrack along with cuts from Otis Redding, Little Feat and Bob Seger, plus two tracks performed Patrick Swayze. Many of these songs are exclusive to the soundtrack. HELLBOY is based on Mike Mignola's acclaimed comic book series about a creature from Hades who joins the battle against evil, arrived on the screen in vivid form in this adaptation directed by distinctive horror filmmaker Guillermo del Toro. The film features an exciting score by composer Marco Beltrami (LOGAN. A QUIET PLACE). A young demon is summoned from the depth of Hell to be used as the ultimate Axis weapon in the 1940’s. However, the demonic creature is captured by American forces, and put in the care of Professor Broom (John Hurt), the founder of a top-secret organization called the Bureau for Paranormal Research and Defense. Sixty years later, the demon, now known as Hellboy (Ron Perlman), is part of an elite secret defense team alongside Liz Sherman (Selma Blair), a beautiful pyrokinetic, and Abe Sapian (Doug Jones), an aquatic humanoid with the power of telepathy. Pee Wee's Big Adventure follows Pee-wee Herman (Paul Reubens) who lives an idyllic life in his bizarre home, until someone steal his the most important thing in his world: a fire engine-red customized bicycle. Pee-wee starts a epic cross-country search to rescue his lost love. The film featured a quirky original score by Danny Elfman. 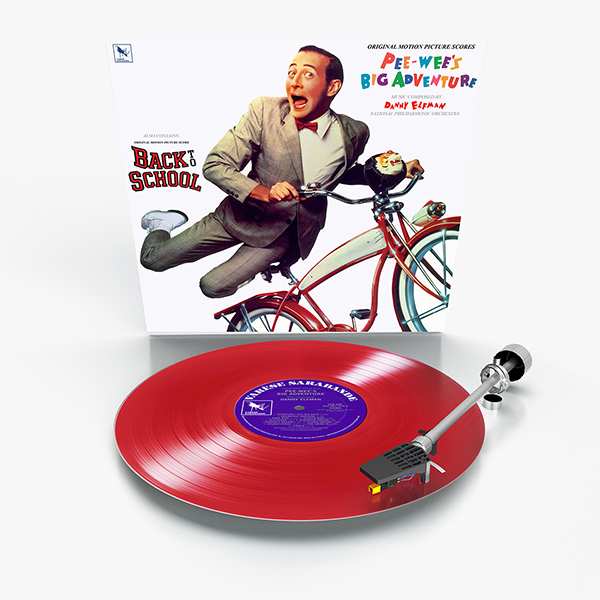 As a special bonus, this release is a two-fer, with Elfman’s score for the Rodney Dangerfield film BACK TO SCHOOL, both presented on red vinyl.